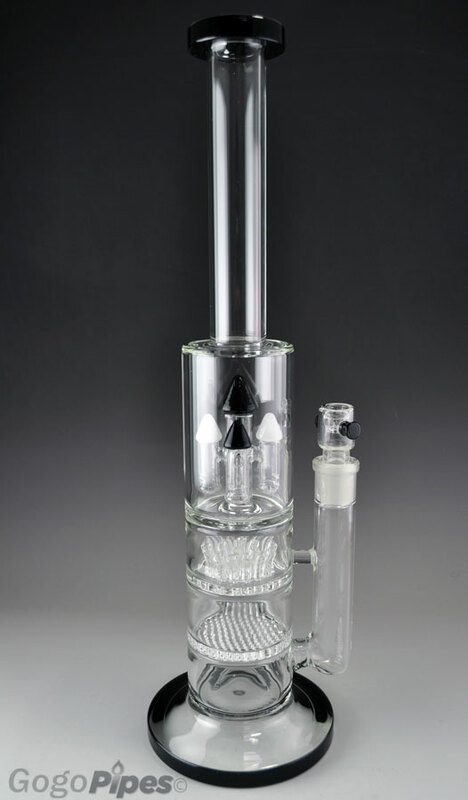 Introducing the new sprinkling perc water pipe. This is almost 17 inches tall. It has 5 inches thick base. 18mm glass bowl and built in screen in it. 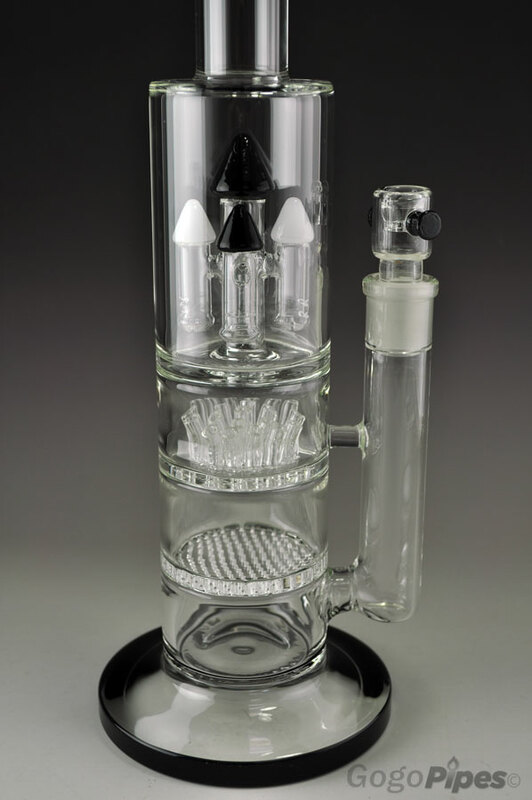 It has three different percs sprinkling,honeycomb,rocket. It has very nice mouth diameter. Same Day shipping from trusted online shop.